Season your favorite salad with argan oil instead of the oil you usually use. After cooking in water, season peas and green or yellow beans with argan oil, salt and black pepper. When preparing traditional or instant couscous, use argan oil instead of the oil you usually use. Use the oil in the dishes you prepare: in fish, or even in desserts. The oil, with its nutty taste and special aroma will upgrade the dish. It works wonders with its special taste and its powerful yet delicate aroma that helps your salads reach previously unknown heights and adds its presence to every dip or dressing. It gladdens the vegetables in the salads we serve, cheers up meat, chicken or fish dishes, and adds a prestigious touch to fruity deserts. Do you want it too? Organize yourselves argan oil in the kitchen. 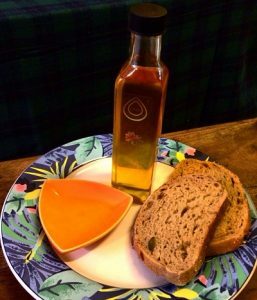 My recommendation – before you begin work, taste a spoonful of oil, shut your eyes and let your imagination run wild with the taste and the aroma that will lead you to the dishes that you will create in a moment. 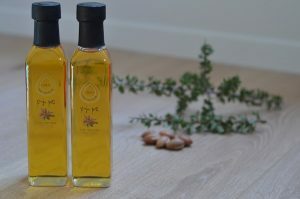 No less – find the argan oil a place of honor on the shelf or table where it will be within reach and in this way you will manage to give your creativity especially tasty flavors and aromas. 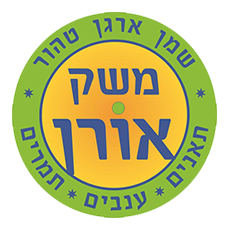 Before the Shavuot holiday here are a number of ideas using argan oil from starters to dessert. 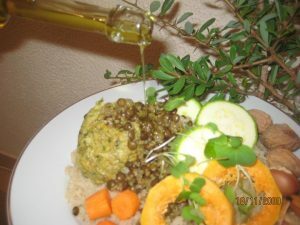 In a small jar, mix all the dressing ingredients except for the argan oil, season the salad and mix lightly. Cut the figs into quarters and place them on the salad. Place a cube of cheese next to each fig and decorate with fresh mint. Top the salad with a tablespoon of argan oil. An easy-to-prepare, tasty, attractive dish! Spread on the fish and season, and bake for 10–15 minutes depending on the size and thickness of the fish pieces in an oven preheated to 160°C. Blend until you have a fairly thin spread with the consistency of mayonnaise. Taste and adjust seasoning if needed. When the fish are ready, remove them from the oven and wait 2–3 minutes before adding the sauce. Decorate with chopped cilantro and a slice of lemon – bon appetit! An easy, very tasty dessert!!! Combine all the ingredients until you have a crumbly dough and scatter the crumbs over a baking tray. Place the halved figs on top of the dough and add a number of fresh thyme leaves. Sprinkle 2 tbsps. of sugar and a touch of balsamic vinegar on top. ‎Bake at 160°C until brown. Immediately after removing from the oven, sprinkle one or two spoonfuls of argan oil on each fig for a golden color and a wonderful aroma. Mix all the ingredients and season. Leave the salad in the fridge for about half an hour so the tastes will come together. Rice that is rich, looks good and is really suitable for a festive meal. The combination of three kinds of oil gives the rice a special taste. 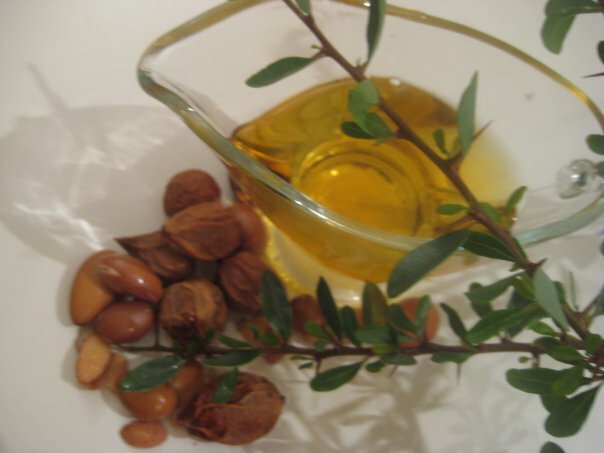 Argan oil is characteristic of Moroccan cuisine, and it can be purchased in supermarkets and specialist stores. Put the washed rice in a wide bowl and cover with boiling water. Add 2 teaspoons of salt and leave for half an hour. Drain the rice and dry with a towel. Heat the oil in a wide pan and lightly fry the dry rice. Add the prunes, apricots, raisins, two types of paprika and the rest of the salt, and stir. And water, the butter or margarine, stir, and bring to the boil. Lower the heat, cover and cook for about 10 minutes until all the liquids evaporate. Transfer the cooked rice to a serving dish and sprinkle the capers or toasted almonds on top. Serve hot. Lightly oil (preferably with an oil spray) a baking tray suitable for serving, for use in the oven and for use in a microwave oven. Break up the cauliflower into single florets and place on the baking tray with the heads of the florets facing upwards. Put the tray in the microwave on full power for about 10 minutes, depending on the size of the cauliflower. Prepare the mixture of argan oil + egg + onion soup powder + black pepper/garlic – according to taste (mix well). After cooking the cauliflower in the microwave until soft, brush the mixture onto all parts of the cauliflower. Pour the remaining mixture over the cauliflower florets. Roast in the oven for about 30 minutes until brown. Use quantities according to the size of the cauliflower. Serve on top of mashed potatoes.